Brad Smith, current president, chief executive officer and chairman of the board, will step down as CEO at the end of December 2018. Smith will remain with Intuit® and become Executive Chairman of Intuit’s Board of Directors. The board has appointed Sasan Goodarzi, currently executive vice president and general manager of Intuit’s Small Business and Self-Employed Group, to succeed him effective Jan. 1, 2019. Goodarzi will also be joining Intuit’s Board of Directors at that time. In addition, Chief Technology Officer Tayloe Stansbury will step down Jan. 1, 2019. Marianna Tessel, senior vice president and chief product development officer for Intuit’s Small Business and Self-Employed Group, will succeed Stansbury as Intuit’s CTO. Under Smith, the company more than doubled its customer base to approximately 50 million customers, doubled its revenue to nearly $6 billion and more than tripled GAAP earnings per share. Intuit also returned nearly $13 billion through dividends and share repurchases to shareholders, and posted a total shareholder return on the stock of over 600 percent from January 2008 to date, nearly three times the return on the Nasdaq over the same period. Intuit appeared on Fortune’s Best Places to Work list during each of Smith’s 11 years as CEO. 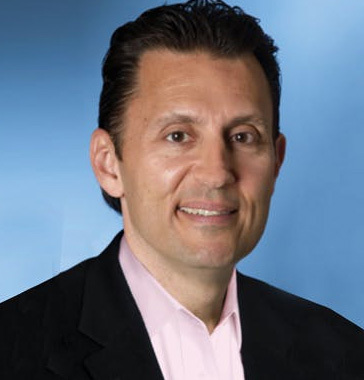 Goodarzi, 50, will continue in his current role leading Intuit’s Small Business and Self-Employed Group until the end of the year as both he and Smith work closely to successfully complete the transition. Goodarzi credited Smith with helping prepare him and the company for this transition. Goodarzi was appointed to his Small Business and Self-Employed role in May 2016. Previously, he was executive vice president and general manager of Intuit’s Consumer Tax Group and, before that, served as Intuit’s chief information officer, as the general manager of Intuit’s ProTax organization and as the general manager of Intuit’s Financial Services Division. Before joining Intuit in 2004, Goodarzi served as the global president of the products group for Invensys and held a variety of senior management roles in the automation control division at Honeywell. He also co-founded and served as the chief executive officer of technology startup Lazer Cables Inc. Goodarzi earned his master’s degree in business administration from the Kellogg School of Management at Northwestern University and earned his bachelor’s degree in electrical engineering at the University of Central Florida. Alex Chriss, currently senior vice president and chief product and platform officer for Intuit’s Small Business and Self-Employed Group, will succeed Goodarzi as general manager of the business unit. Chriss is a successful entrepreneur with a proven track record innovating both inside and outside the company. Since joining Intuit in 2004, he’s helped expand Intuit’s small business market opportunity around the world by launching and leading Intuit’s self-employed business, Intuit’s platform-as-a-service strategy and the QuickBooks App Store. Chriss has also led Intuit’s QuickBooks Capital business. Intuit also announced that Chief Technology Officer Tayloe Stansbury will step down from his role as CTO on Jan. 1, 2019. During his 9-year run at the company, he spearheaded Intuit’s successful transition from the desktop to the web and from the web to mobile and most recently to the public cloud. Stansbury started the company on its path toward an integrated ecosystem of products and led a giant leap forward in Intuit’s artificial intelligence capability. Marianna Tessel, currently senior vice president and chief product development officer for Intuit’s Small Business and Self-Employed Group, will succeed Stansbury as Intuit’s chief technology officer on Jan. 1, 2019. A former engineer and a captain in the Israeli Army, Tessel has proven leadership experience at both large companies as well as startups. She held senior engineering leadership roles at General Magic, Ariba, VMware and Docker. While at VMware and Docker she had a chance to be at the forefront of significant technology transformations, including virtualization, cloud, containerization and DevOps. “Marianna Tessel is a standout technologist and an exceptional business leader. I could not be more confident in her stewardship of this important capability and function for the company,” said Smith.